The Shadow of the Volcano is the fifth adventure of twins Joe and Jemima Lancelot and their friend Charlie. Joe and Jemima have been searching for their parents who disappeared several months earlier. Thanks to an old book and a magical key, as well as special charms, the kids and Max (their talking Tonkinese cat) are able to travel back in time to search for the twins’ parents. Sadly, on their previous adventures, it seems the twins’ parents were always just ahead of them. On this trip, they hope they’ll catch up with their mum and dad. Trips back in time can be dangerous, especially if they end up in the middle of a war, or some disaster. The kids have had their fair share of those and this trip is no less dangerous. The kids and Max end up in Pompeii, just a few days before Mount Vesuvius will explode, destroying the whole city. Unfortunately, they also land up on the tail end of a consignment of slaves. The slave dealer Scylax is ecstatic because he’s convinced he was short-changed by three slaves in the last delivery. Jemima befriends a young slave, a Briton called Caris, and tries to cheer her up. Luckily, Joe and Jemima are attractive twins and take the fancy of their new owners, while Charlie, originally thought weedy, impresses the book-keeper with his skill in mathematics. Joe has the hardest time of all, working his fingers to the bone, as he grumbles, while Charlie and Jemima have relatively easy jobs. Max manages to inveigle himself into the household, but on the night of a party, is booted out. He is rescued by a priestess of the Temple of Isis, and she is in love with a gladiator. An adventure to rival all others ensues, with a magnificent fake battle between Leo (a lion that Max helped) and Felix, the handsome young gladiator. All this time, the kids keep trying to warn people about the impending disaster; some listen and will escape the conflagration, but for the most part, people don’t heed the warnings. Vesuvius has rumbled before and they are used to it. Will the kids catch up with their parents? Will they make it back to their own world? I just love this series and, in my opinion, it keeps getting better with every book. 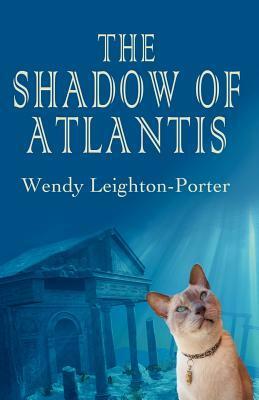 Author Wendy Leighton-Porter has such a lovely sense of humour that brings even the smallest characters vividly to life. Max is utterly captivating as himself, with delusions of grandeur after living as the descendant of a god in the Temple of Isis. The kids’ new owner is based on a real Pompeiian, whose villa was discovered and excavated. So much fact is cleverly woven into the story, teaching kids a history lesson without their even knowing it. There are details that young readers will remember, simply because of the way these have been used in the tale to lend credence and veracity. Who can argue with an exciting piece of history? Of course, as in her other books, Wendy Leighton-Porter does not shy away from the gritty realities of life back then. Being a slave was no easy task, and if one was a gladiator, death was just another fight away. 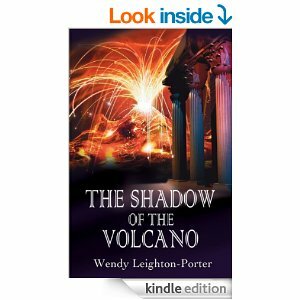 I truly enjoyed the rich detail of Pompeiian life pervading the story, down to the descriptions of the eruption and what it must have been like for people at the time. The end material includes some lovely particulars for avid young explorers and historians; a glossary, a floor plan of a typical house, photos of the Pompeiian excavation and more. As always, maps put the leap back in time firmly into perspective. This book is a real winner, and don’t be surprised if your young relative starts sounding like an expert volcanologist. PS: If anyone is wondering how the romance is going between the twins’ Uncle Richard and Charlie’s mum … they are going on another date! 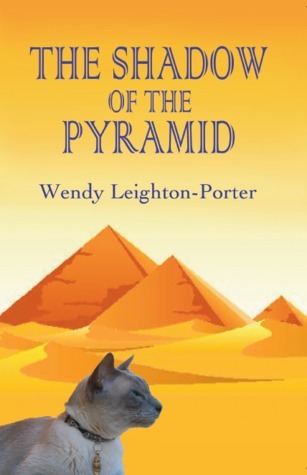 Jemima, Joe, their talking Tonkinese cat Max, and their best friend Charlie are off on their adventures again, searching for Jemima and Joe’s parents (somehow trapped in the past) and this time they are headed for ancient Egypt. Using their magical book, the poem containing clues, and Jemima’s necklace with the key, the kids and Max are transported back in time, arriving in the middle of an assassination plot to murder the young king Tutankhamun. Alas, Max has a morbid fear of mummies, having glimpsed a ghastly sight of one on Joe’s XBox game and he’s not too keen on this part of their adventure. They meet Ankharet, the gorgeous cat belonging to Tut’s young wife, Ankhesenamun. Max is totally smitten, but unfortunately Ankharet (who is jealous of Max’s instant popularity) doesn’t feel quite the same way about him. As the adventure unfolds, the kids and the cats, along with Tut’s wife try to stop several attempts on the young king’s life. Max even manages to foil two attempts, displaying a kind of unintentional bravery. The king is entranced with Max and names him “Max, beloved of Amun.” What an honour! Alas, despite their best efforts, once again the kids and Max are unable to change the course of history and cannot prevent the young king’s fate, a mystery which remains to this day. The end of the book is absolutely delightful and kids will just love the twist in this tale. Max’s fear of mummies and the like afford some absolutely hilarious moments, especially since all his apparent heroics and saving the day are by accident. 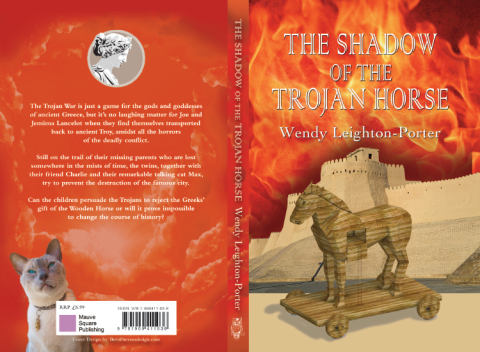 Author Wendy Leighton-Porter has woven a marvellous mixture of suspense, adventure, history, geography, and culture into an intriguing tale. Using real historical figures, she captures the feel and flavour of ancient times, and puts forward some quite viable theories for exactly what might have happened to Tutankhamun. As in previous books, the kids and Max are totally immersed in history, and this tale will definitely draw eager young readers to join them in the adventure. There are some interesting facts at the end of the book which will no doubt stimulate young time travellers to go and do a bit more research. Learning history the fun way is becoming the mark of this captivating series. Jemima and Joe Lancelot, along with their talking cat Max, and their best friend Charlie, are off on another adventure. The twins live with their Uncle Richard since their parents’ mysterious disappearance several months earlier. Only the children and Max know what really happened—Mr. and Mrs. Lancelot, with the aid of a mysterious book, have become trapped in the past. Using the book and a special key, the kids are desperately dipping in and out of time to track down the adults. Oddly enough, when Uncle Richard gives them their (eleventh) birthday presents—an Xbox game of the Trojan War for Joe and a special charm bracelet for Jemima as well as a book on Troy—it is more than enough of a hint as to where they are going next. The kids, Charlie, and Max end up in the middle of the Trojan War. They do their best to stay alive, find out more about where the twins’ parents were last seen, and do all they can to turn the tide of events in a war that has been raging for ten years. A helpful map, pronunciation guide, a list of characters, and the author’s note placing Homer, Troy, history, and Greek mythology in context will add to young readers’ enjoyment. If you are a parent wanting to get your kids entranced with reading, start them on this series. It’s a great learning curve, with fun, action, adventure, and a unique story line.